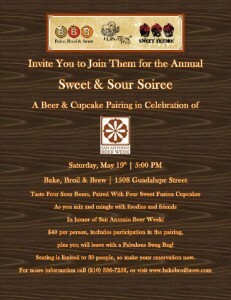 Taste four Sour Beers, paired with Four Sweet Fuzion Cupcakes. 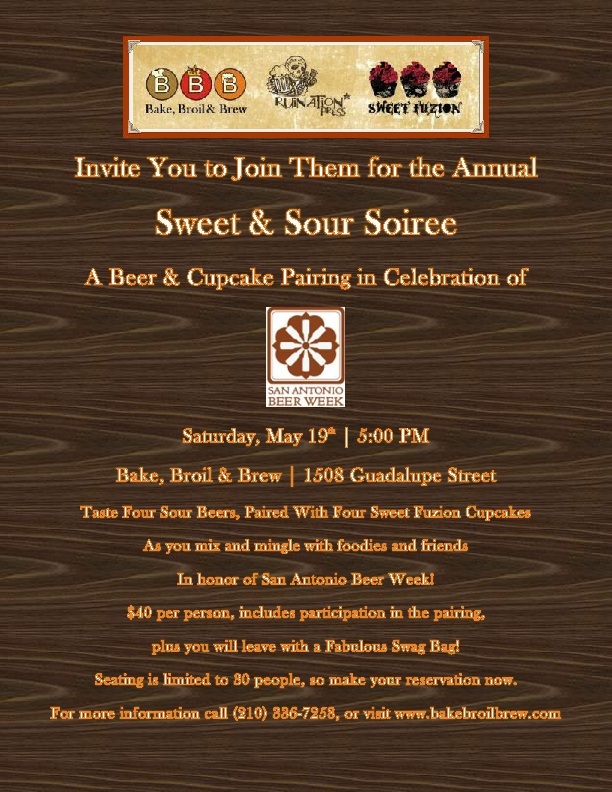 As you mix and mingle with foodies and friends in honor of San Antonio Beer Week! $40 per person, includes participation in the pairing, plus you will leave with a Fabulous Swag Bag! Seating is limited to 30 people, so make your reservation now.